Well, it took 100 days but the EPA has finally removed the climate change section of its website. An agency spokesman explained that the information that has been collected on the page over the last 20 years posed a problem because it contradicted the administration’s denial of man-made climate change. EPA chief Scott Pruitt, just one of many members of the Trump administration that is currently under investigation for ethics violations, has always hated the agency that he runs. Since the time of his nomination, it has been understood that his role in the administration will be more focused on dismantling environmental protections than enforcing them. Those fears have lead independent hacking groups to scramble to archive as much climate data from government websites as possible. The cowardly removal of climate change information occurred late on Friday evening, a time that is usually designed to minimize news coverage. In a statement to the press, J.P. Freire, the EPA’s associate administrator for public affairs, said that the decision was made “to eliminate confusion by removing outdated language first and making room to discuss how we’re protecting the environment and human health by partnering with states and working within the law.” That sort of up-is-down explanation is typical of the administration. The only outdated information being pushed by the EPA is Scott Pruitt’s stated belief that “measuring with precision human activity on the climate is something very challenging to do and there’s tremendous disagreement about the degree of impact, so no, I would not agree that it’s a primary contributor to the global warming that we see.” According to NASA’s climate change summary page, “Multiple studies published in peer-reviewed scientific journals show that 97 percent or more of actively publishing climate scientists agree: Climate-warming trends over the past century are extremely likely due to human activities.” To say that there is “tremendous disagreement” is, to put it simply, a lie. 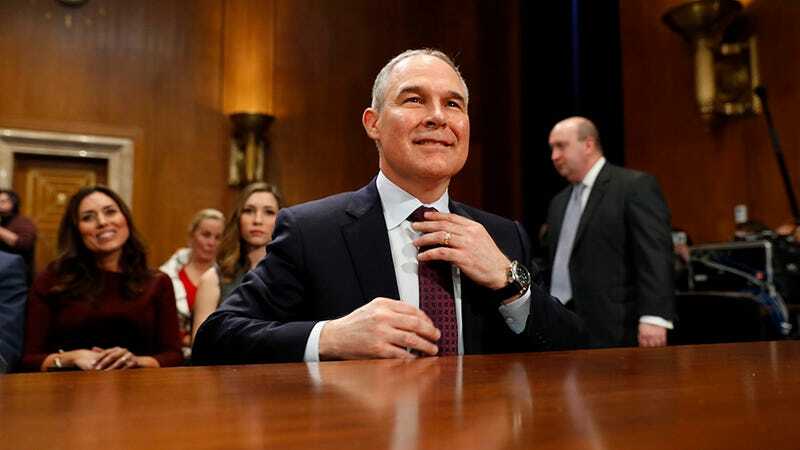 Those comments caused the EPA’s Scientific Integrity Office to open an investigation into whether Pruitt had violated its “scientific integrity policy” that requires the agency to respect the consensus of the scientific community. At this website you will find information pertaining to the science of global warming; current and projected impacts of global warming; international and U.S. Government policies and programs; opportunities for individuals and corporations to help stop global warming (and in many cases, save money, too! ); state and local actions that help mitigate greenhouse gas emissions; and, easy ways to obtain more information by fax, email and electronic order form. In the ensuing years, the agency continually updated the site as climate science learned more about the ways in which human activity accelerated climate change. Thankfully, the EPA had to post a snapshot of the website back in January after a federal law regarding FOIA requests was triggered. Government agencies are required to make documents available to the public if three or more successful FOIA requests are received on the same topic. The climate change page (at www.epa.gov/climatechange) now redirects to a message that reads “this page is being updated,” and it provides a link to the archived page as it was on January 19th, 2017. There’s no guarantee that the link will have a permanent place on the page whenever these “updates” come in. Thousands are gathering in Washington D.C. today to protest Trump’s executive order that seeks to undo the Obama administration’s climate protections. That order is expected to face legal challenges. Here’s hoping Scott Pruitt’s tenure at the agency does as well.